My final made-from-scratch cheese this past month was luscious and rich marscapone.The recipe came from The Denver Post who took the recipe from “Artisan Cheese Making at Home” by Mary Karlin. Check out her fabulous website. The equipment and ingredients required were low key and easy to find at your local grocery store. Make a clean area in your kitchen counter with clean towels. Assemble equipment: 2 quart non-reactive saucepan, thermometer, butter muslin (or double length of regular cheesecloth) metal spoon and colander. 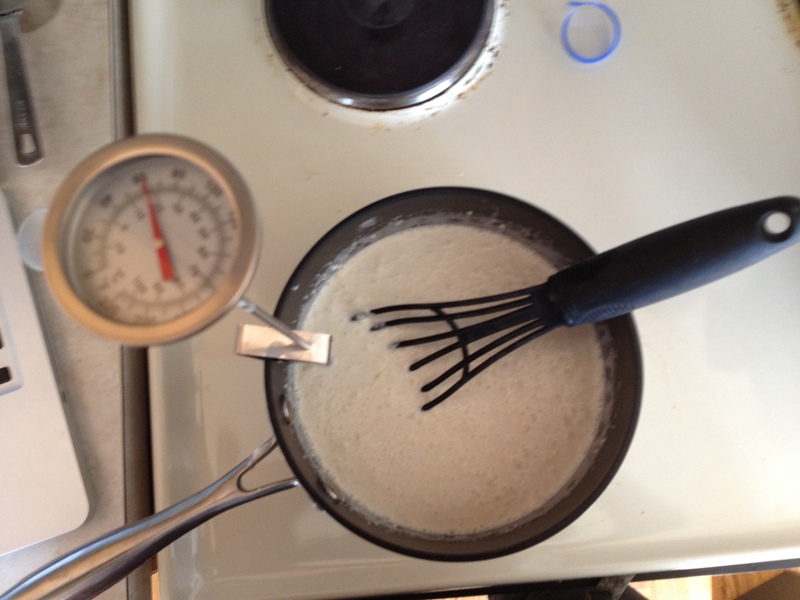 Whisk the cream and powdered milk together and heat slowly up to 180 degrees F. Stir constantly to prevent scorching. It should take 40 minutes or so, then remove from heat. Squeeze in half of the lemon juice, switch to a metal spoon and stir constantly to promote curd formation. Do not whisk. 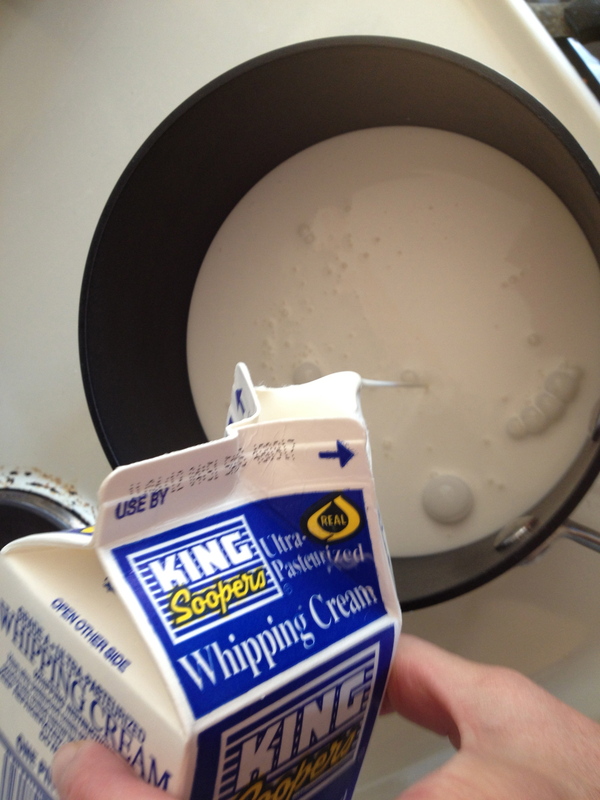 The cream will coat the back of the spoon when it is ready. 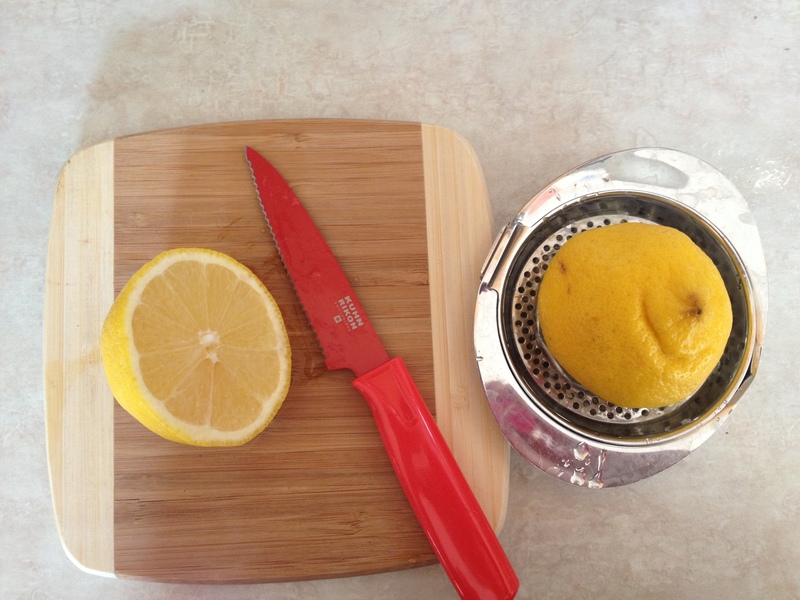 Then add the remainder of the lemon juice and stir to incorporate. Cover and cool the cream in the refrigerator for 8 hours or overnight. The following day the cream will look like yogurt. Transfer the curds to a muslin-lined colander (check out the 10/29/12 Oh Cheez post for pictures). Draw the ends together and twist into a ball to squeeze out the liquid. The marscapone will then be thick and ready to use in recipes or refrigerate for up to two days. 2) Super creamy and versatile. 3) Very little liquid was squeezed from the mixture. It took less than an hour to drain into curds. 4) For recipes on how to incorporate marscapone into recipes, check out Food Network, under ‘marscapone‘. You’ll find that Giada De Laurentis‘ name pops up quite a bit. 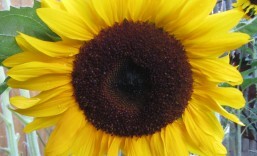 She loves marscapone and has a variety of sweet and savory recipes to choose from. 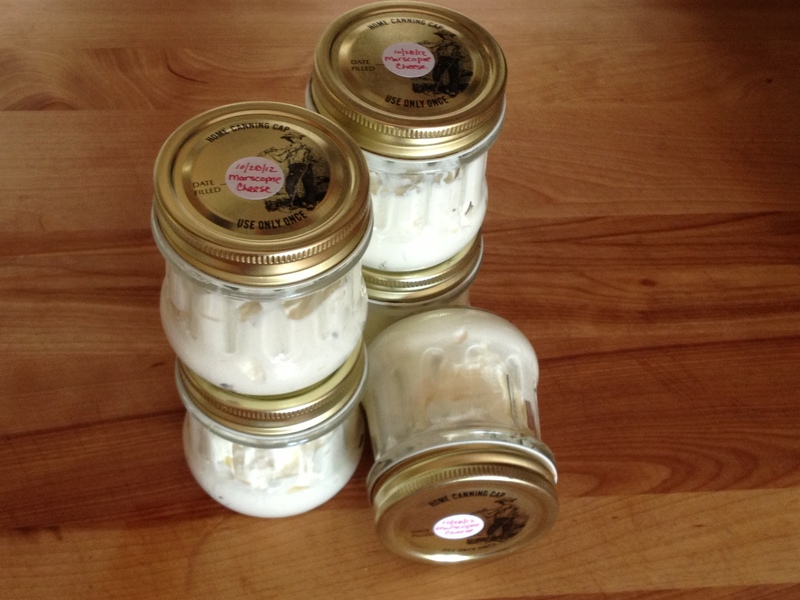 The Fearless Cooking Club members each received a jar of marscapone to take home. Many have used it in place of clotted cream, whipped it into mashed sweet or white potatoes, or spread it atop crisp thin bread, with a lovely jam. Marvelous. This entry was posted in cheese, cooking, Cooking Clubs, Food and tagged cheese, cooking, cooking clubs, Denver Post, food, food blogging, Food Network, Mascarpone. Bookmark the permalink. You have to stir constantly for 40 minutes? 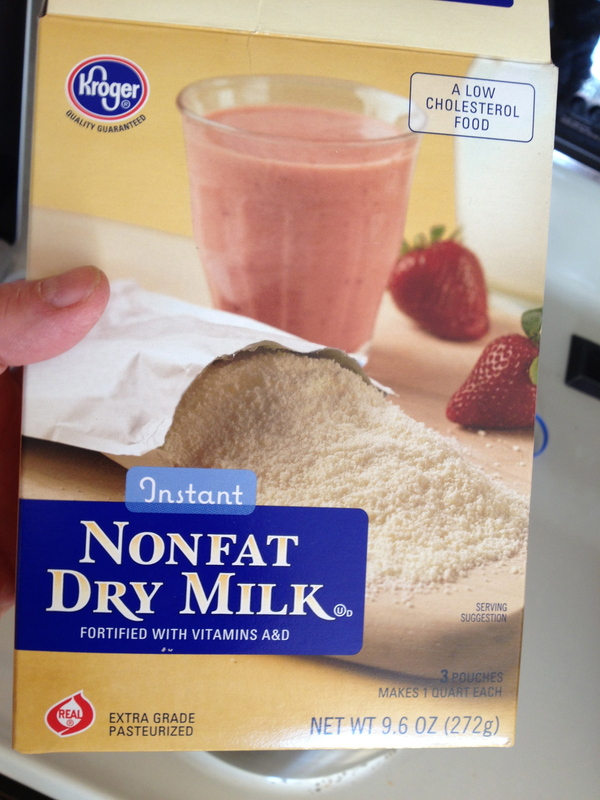 That sounds tortuous to me… Do you do anything with the whey? I forgot to mention that when the cream was on the stove top the door bell rang. It was political volunteers with flyers and a gift of gab promoting their candidates. When I returned to the stove, the mixture had gotten away from me because I hadn’t stirred it constantly. It reached it’s temperature and was done! Remove from heat now! I was thinking the same thing – my arm would fall off after stirring for 40 minutes! But it does sound delicious. I’m fearless but I have a poor attention span. Life usually interferes with my cooking. This one does look easier than some of the others you’ve posted, but the 40 minutes of stirring was intimidating. I’d have to enlist my husband to help! wow! Sounds yummy! I use mascarpone A LOT for my baking so it’d be fun to try to make from scratch! My motto is Every cook has the right to do whatever works for him/her to get the end product. And if all else fails try try again. Lucky for me it worked out well despite getting it done in less time. Go for it! I found it to be an incredibly fresh component to my recipes versus the product purchased premade at the grocery store. Thanks for dropping by. How I love mascapone cheese! I love using mascapone especially in tiramisu and cheesecakes! I think this might be the cheese that I would attempt making. BTW, you mentioned that you need to heat the cream to 180 deg F and stir for about 40 minutes. What are you looking out for after the 40 mins? Does the consistency change/thicken? If you leave the pot of cream on the stove and stir, wouldn’t it be hard to keep the temp constant? It would exceed 180 deg F after a while wouldn’t it? Thanks! The goal is to get the cream to a consistency to coat the back of the spoon. It was wonderful. I was watching Giada De Laurentis today and she added marscapone to two of her recipes. I think she uses it instead of using cream and the consistency is nice and thick. Oh thanks for the explanation. I would give it a go some time soon. Sounds like a great way to use mascapone in place of cream! 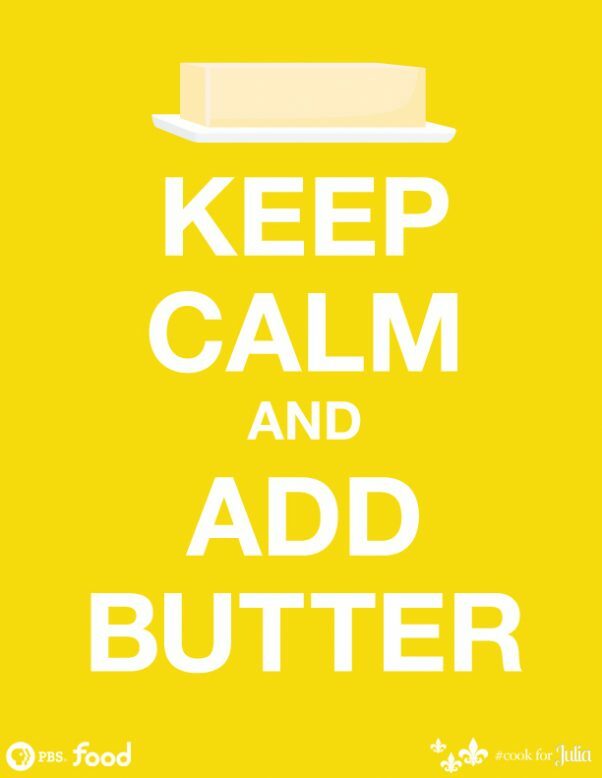 You are such an accomplished chef I am sure making marscapone would be a snap for you! This looks great! I plan on making this very soon. How much did it make? It made about 6-7 cups that I put into jars for gifts for club members. Wow that’s great!!! Can you believe the price in stores??? Totally worth the 40 minute stirring time!! !